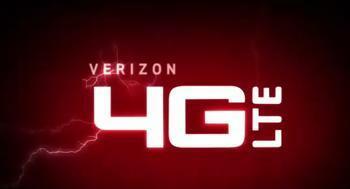 Back on Dec. 1st, Verizon announced its first 39 cities and 50 major airports that would receive 4G LTE service. During that announcement the company promised we would see additional cities in 2011, and by the end of the year they hoped to reach 140 covered metropolitan areas. Well, we finally know which additional cities will be the first to receive the speed bump this year. It sounds like this particular leg of the 4G LTE roll-out could be called “the university/college town edition” as a lot of these cities are home to major schools. There is no timeline as to when the switches will be thrown in each city, but it sounds like it shouldn’t be in the too distant future. Considering that Verizon wants two-thirds of the United States covered by the end of 2013, they’re going to need to keep those launches coming at a pretty brisk pace. Having seen LTE in action courtesy of Jon Rettinger’s modem while we are out in Las Vegas for CES, it’s worth the wait. What say you? Will any of these new cities impact you get access to LTE?